But I’m a Small Business, is Brand Building Still Important? Ever wonder why big companies spend billions on brand building? Ever thought that perhaps the reason they’re so big is because they’ve bothered to build a brand? Can you tell me what your brand is about? What are your brand values, your brand promise, your brand equity? Does all of that sound like a bunch of jargon that belongs with big ad agencies or corporates with big budgets? 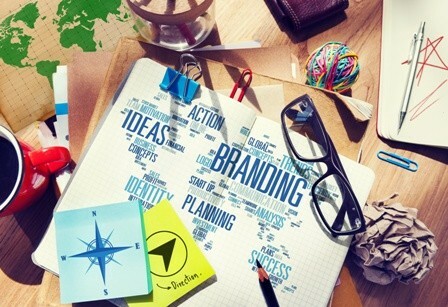 Creating a quality brand for your business is as important as providing a quality service or selling quality products. Your brand is your identity, and is not only the face of your business, but represents your personality, your spirit. If you’re a solo entrepreneur, you are your brand. If you have staff, they are your brand. Your brand is your promise, your seal of excellence, the commitment to your customers that they can expect the same experience from every staff member or every encounter with your business. Here’s a revelation – you are already living your brand. The way you conduct business and your staff treat your customers is the essence of your brand. That is not going to change without a concerted effort so hopefully it’s on track with who and what you want to be. So can you tell me who are you? What do you offer? Who is your target market? The better you know your customer, the more you’ll be able to position yourself with your branding. What is important to them? What would they answer if I ask them about your brand? Take the time to conduct a branding exercise with a brand expert who will help you tease out the essence of your brand. It’s important your staff buy into this process or you’ll find yourself all alone trying to effect an organisational culture change. Mystery shopping will give you a good idea of what it feels like to be a customer, end-to-end. Branding is about standing out, being different. Many small businesses make the mistake of copying a successful chain or big corporation or their competitor. This will only mean that you don’t stand out and remain completely forgettable. Your brand needs to leap off the shelves and grab the target market by the throat, so once again it’s important to know who you are targeting and what’s important to them. Consistency is the key to keeping loyal clients. People support what they know, and even the big guys shy away from any radical departures from their successful brand. Coca-Cola is the perfect example. Since 1899 the basic shape of their bottle has changed very little, with the result that there probably isn’t a person on the planet that won’t recognise a Coke bottle lying on the beach, even if it’s 100 years old. Brand consistency will ensure that your client base stays loyal and keeps on growing. There’s a little saying that goes like this: We judge others by their actions, but we judge ourselves by our intentions. The same applies to your brand. You may think that you ticked all the boxes when you went public with your nifty skateboard-safety-goggles-and-elbow-pads shop, but the kids simply refuse to support you and you just don’t know why. Somebody should have pointed out to you that no amount of time or money would induce kids into buying safety accessories, and you would have been better off marketing directly to their parents. That would have meant a different logo, different tone of voice, different channels, and different market positioning. The branding discussion could span many months, with client and competitor research, impact and analysis revealing who you think you are and who your clients think you are. Don’t have the budget to do a big brand research and positioning exercise? No problem, we can work within your budget to help you and your staff define your brand, clarify your positioning and improve the graphic design of your logo and website and marketing collateral.